Improving the way we deal with traffic congestion created by extraordinary cross-Channel disruption. To find out more information about the works happening for Operation Brock, please visit our scheme web page. Our recent public information exercise that ran from 11 June to 22 July 2018 is now closed. We organised seven public exhibitions in Ashford, Canterbury, Dover, Folkestone and Maidstone and visited various motorway service areas and truckstops. We also promoted our exercise via local libraries, newspapers, radio, television, Twitter and this website. We held briefing sessions with local MPs and councillors, the statutory environmental bodies and representatives for the Kent ports and haulage industry. We'd like to thank everyone who provided their views. Please note that we have not proposed any locations or sites at this stage. 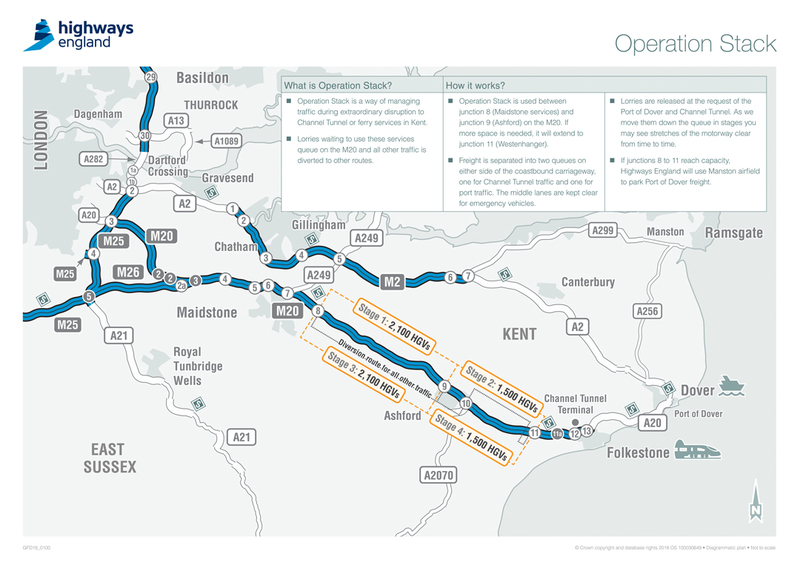 The map and the arrow broadly show where Operation Stack affects the M20. We're also considering whether everyday 24-hour lorry parking should be provided at lorry holding areas to reduce the problem of illegal or inappropriate lorry parking in Kent, and whether they should include any border control facilities for lorries. During summer and autumn 2018 we'll continue to talk to many parties, including Kent County Council, local councils, Kent Police, the ports and the haulage industry. We'll provide updates via this webpage, but can be contacted at any time via KentLorryArea@highwaysengland.co.uk. The public information exercise was just the first step of a wider consultation process. With the public information exercise now completed, we're analysing all the comments and feedback we received. We'll report our analysis back to government and the public. If a scheme is progressed, we intend to consult on more detailed options and proposals in winter 2018/19. 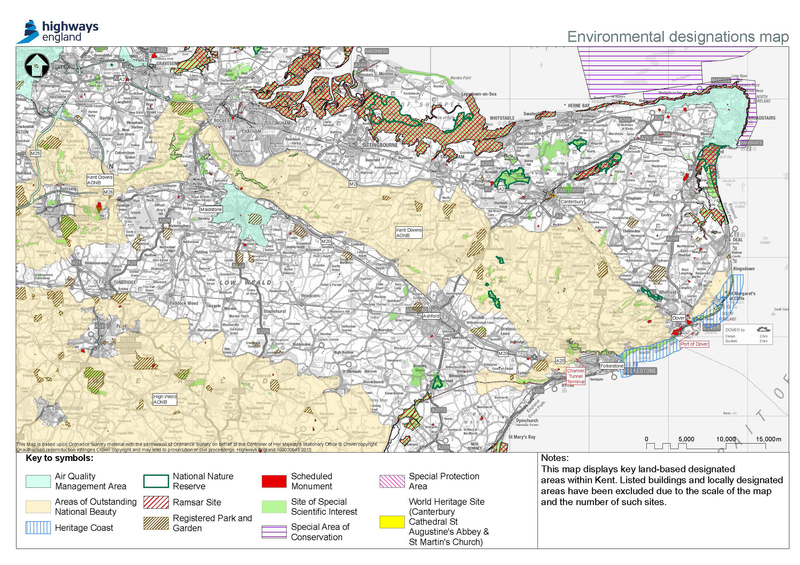 Any scheme that is taken forward will involve extensive public consultation and will require a full environmental impact assessment. Without intervention, existing and likely future issues will continue to put pressure on motorways and roads in Kent. Doing nothing is not an option so a permanent solution is required. Forecasts tell us that trafﬁc is expected to increase on the M20/A20 and M2/A2. 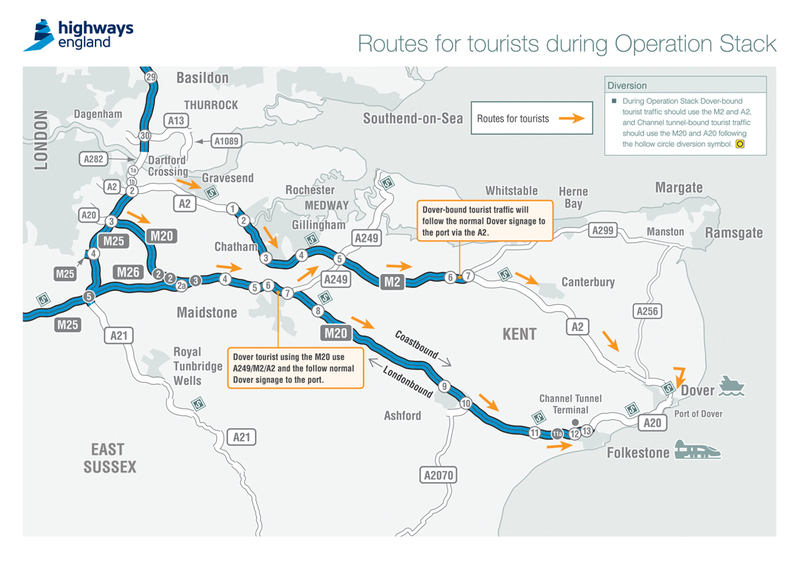 The number of lorries travelling to and from the Kent ports is also expected to increase signiﬁcantly. Since severe weather, equipment failure and other disruptive events can never be completely avoided, the risk is that Operation Stack will be implemented more frequently if action is not taken. Without action, the safety and journey time reliability of everybody using the motorways and local roads in Kent is likely to be affected. Because of this, the Government has instructed us to explore a lorry holding area solution that would avoid the need to activate Operation Stack in all but the most exceptional circumstances. providing a safe, serviceable and accessible network, provide better customer service, more reliable journey times, and an improved environment. No locations have been shortlisted for potential use as a lorry holding area facility. Should the scheme proceed, we'll identify locations following this public information exercise. More details will be added here ahead of the options consultation expected to take place in winter 2018/19.